Mystic Shores, an active adult community in Little Egg Harbor. Mystic Shores is an older Active Adult community. 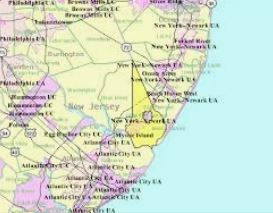 In fact, it’s located near the Garden State Parkway exit 58. This is a popular community because it’s just minutes from Great Bay. In addition, there is a county golf course only minutes away. This active adult community offers affordable homes and a great life style. Furthermore, there’s a low monthly association fee. Additionally, your pets are welcome here. Construction started in Mystic Shores in 1975. And when construction was completed in 1994, there were over 350 homes built. These homes generally range in size from under 1000 square feet to almost 1800 square feet. Mostly, the homes are single family detached homes. However, there are some attached homes. The homes have 2 bedrooms, with either 1 or 2 baths. Additionally, some homes offer a 1 car garage. Many activities are available at the clubhouse, including a large community room. When it gets warm, swim in the outdoor pool. Additionally, in the area you can enjoy local activities such as fishing, boating and golf. Additionally, there’s an exercise area for those who want to stay in shape. While Mystic Shores doesn’t have a golf course, there are many courses available in Ocean County. A community shopping bus is available to residents. In addition, Ocean County provides a non-emergency medical transport bus. Advance reservations are required however there is a fee charged for this service. When you’re ready to buy or sell a home in Mystic Shores, contact us. Call Bunny and Art Reiman – the Active Adult Community Specialists.